Nampa is the second largest city in Idaho. It's located in a high desert bordered by the Front Range of the Rocky Mountains and by the Owyhee Mountains. The city is approximately 20 miles away from Boise and is considered to be part of the Boise metropolitan area. Nampa features mild winters and warm summers which is part of the reason that agriculture has become such an important part of Nampa's economy. This is also a very family based community that features many community events through out the year to support local schools and businesses, but also to bring the community out to play together. Some of the most popular events Nampa holds each year are: Snake River Dayz and the Snake River Stampede, Griddles & Fiddles Festival, Stampede Through Town Family Fun Run/Walk and the Summer Sounds Concerts. The Ste. Chapelle Winery is also only minutes away nestled in the rolling hills with weekly concerts during the summers and other events through out the year. Some of the other activities enjoyed by Nampa residents are fishing for bass and trout, golf is enjoyed almost year-round, mountain biking, snow and water skiing, and rafting the Snake River. Nampa features twenty city parks and numerous walking trails and also has a recreation center that includes climbing walls, an indoor running track, five swimming pools and other facilities. Being such a large metro area, the real estate opportunities are vast. 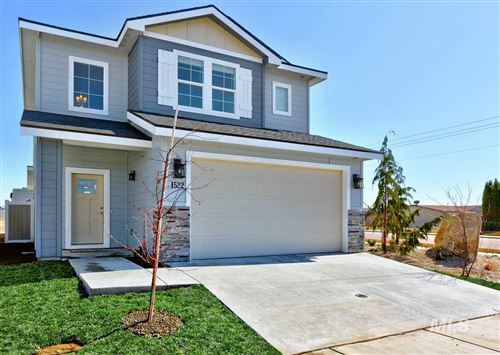 Nampa is a homebuyers delight with home prices still being very low! But for those looking for a fun place to live with lots of family fun activities at your doorstep, then this is the place for you. Historic homes, farms, modern homes, suburban living and inner city lifestyles are all easily accomodated here.